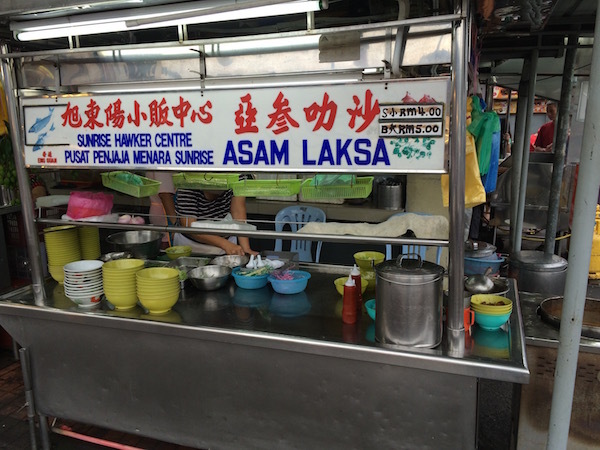 I had initially thought of pushing up a little further – perhaps to Alor Star. But I’ve not visited Penang since 30 years ago, so I thought I’d just stay here for the night. Also, I was conscious of the fact that I started the day really early, so I thought I should get some early rest too. 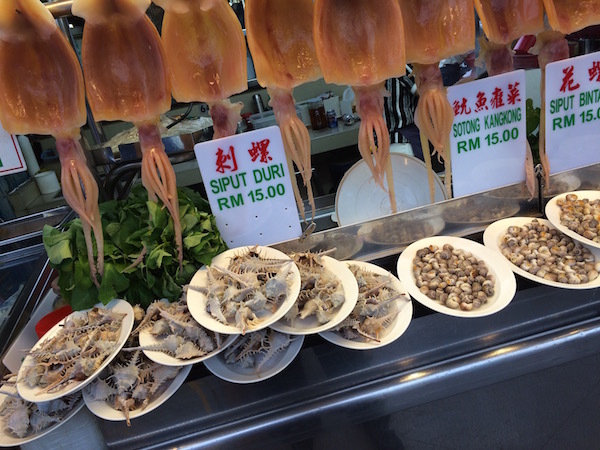 Although done road trips to Malaysia multiple times, I have never went beyond Kuala Lumpur. 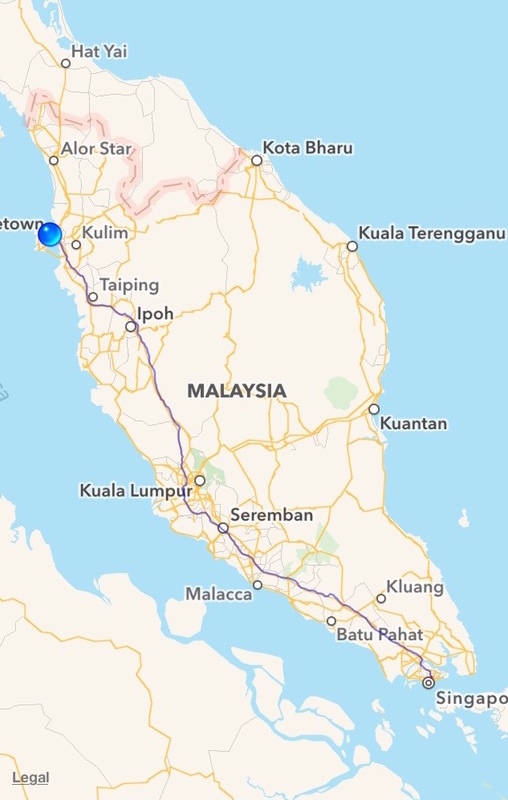 So I had assumed that the entire NSHW (North-South Highway) journey would be as boring as the stretch from SG to KL. Boy! Was I wrong! 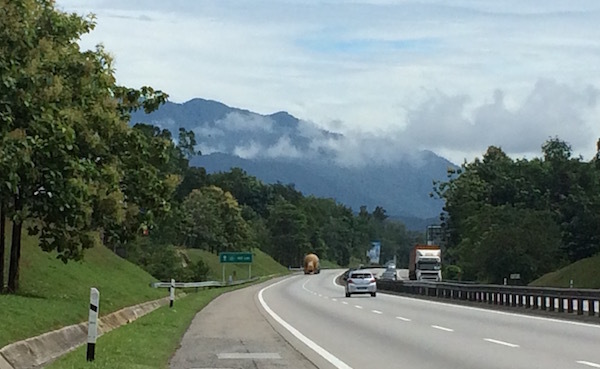 The roads and views started getting really amazing somewhere between Ipoh and Taiping. Little bit of winding highway makes for some high-speed fun tilts! 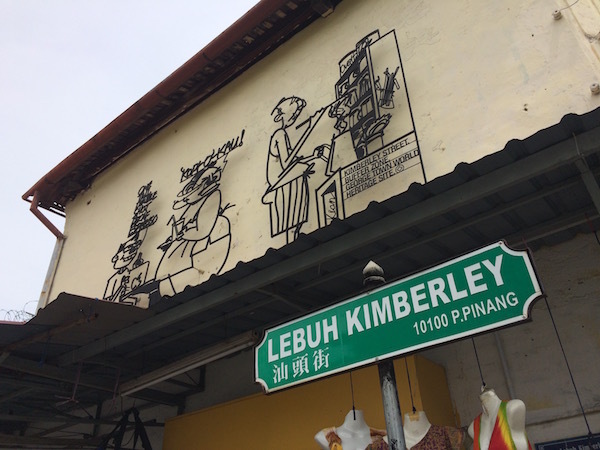 Really, if you’ve not done beyond KL before, I highly encourage you to try! Anyway, found myself a nice accommodation with private parking space – which was important to me. I didn’t like the idea of leaving my bike out in the public street carpark. Hutton Lodge. RM55 for a room with shared bathroom facilities. Not bad! It was almost 1:30pm after I’ve checked in, and I was a little hungry then. So off I went to seek for some Penang Food. 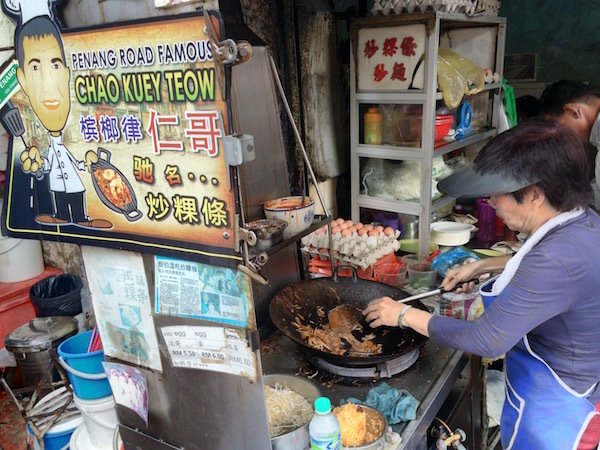 What better way to eat in Penang than having Penang food? 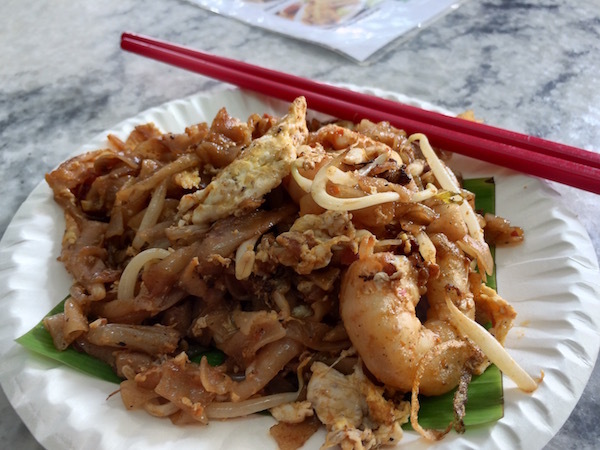 RM5 for a plate of yummy Penang Fried Kway Teow. So after lunch, I did some banking stuff and also did a little shopping. Feeling physically exhausted, I went back to the room and slept for an hour. And by the time I woke up, it was about dinner time! 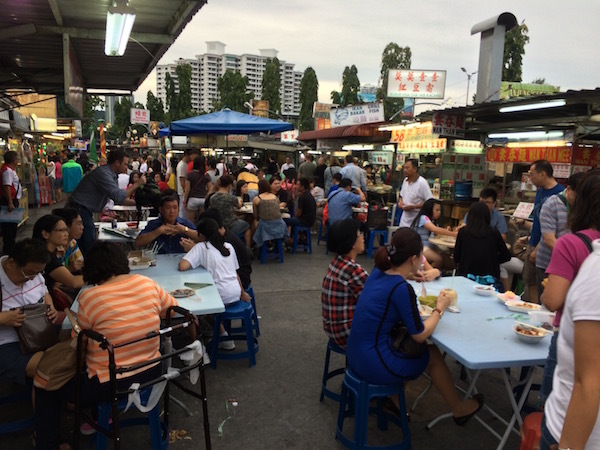 And where better to have dinner than at the famous Gurney Drive Hawker Centre! That spikey shellfish looked interesting. I didn’t dare try it as I didn’t want to risk ruining the start of the trip with a bad tummy. Okay, I’m not feeling very wordy today. Probably need some rest now. Tomorrow, I’m heading to Hat Yai. Hopefully the border crossing is going to be easy. 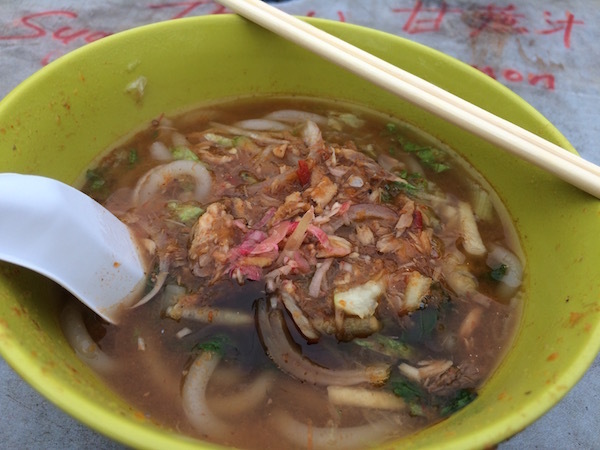 Thanks for your day 1 update on your current long distance Chiangmai trip. You are doing something that I dreamt of doing it as a group for end of 2016 so it will be good to get a few pointers. Great start! I recently made my trip to Cha-Am inspired by the Wondering Wasp & your blog! I didn’t have the time to spend as much on the road as you had, but it was an awesome ride and back to SG. Hope you have a great adventure! Hey Tomas! Great trip! =) Hope it was a smooth one for you – as there have been reports of unrest in various spots in southern Thailand. Yes – Juvena the Wasp is still buzzing out there. She’s been on the road for more than a year already! Solo too! Quite an amazing girl! I’ve also been following her travels! I’d love to do a RTW trip someday too! 5) When I reached Penang. If you’ve not been to Malaysia before, they have this system of payment first before fuelling. So estimate how much you’ll likely need, may payment at the counter and the counter staff will activate your pump number, proceed to refuel, then head back to counter to collect change (if any). I think too many Malaysians drove off without payment, and so all pump stations seem to adopt this measure of payment before refuel. Oh, BTW, you do know that from Jan 2017 onwards, (with the exception of Malaysian passport holders), all other visa-free nationalities are permitted only TWO visa-free overland entry into Thailand, ya? After which, one must apply for a entry vi$a from the respective Thai Embassies to enter Thailand overland. This doesn’t apply for air travel though. Thanks for all the information. I’ve done multiple times as far as KL but this will be the first up to Hatyai. About the fuel payment, don’t they accept credit card payments? They do accept credit card payments. In this case, you swipe your card at the pump before you fuel up. IIRC, they seem to hold RM200 for every transaction, and only reverse it a couple of days later – very much like how hotels hold a deposit amount on your credit card and reverse it when you check out. But then again, that was a very vague recollection of my experience and things might have changed. Thanks for the wishes and tip about the spare tank. The spare tank is just to keep your mind at ease . To know if your calculation were wrong for each petrol stop . If you are confident , You don’t really need it . Safe trip today moving off . Hope to read yours too soon . 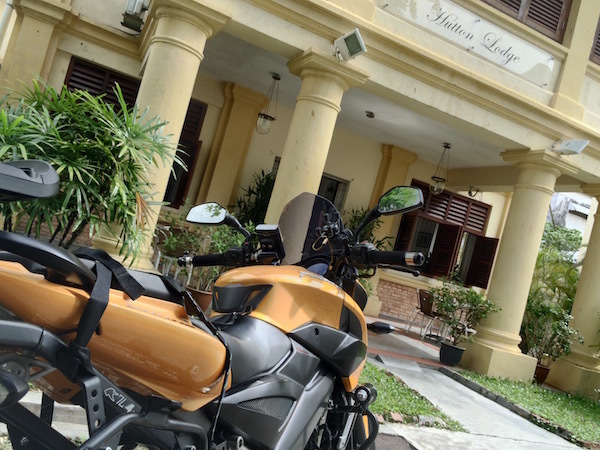 Previous Previous post: The sgBikerBoy 2016 Trip!